Visiting this Buddhist monastery almost completely built from teakwood is one of the best day trips in Bagan. 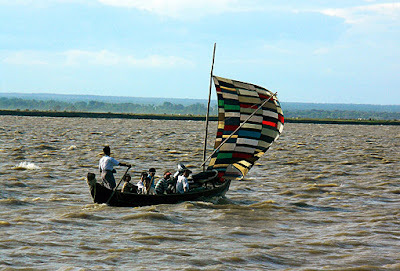 If you want to do it on your own walk down the Bupaya Pagoda and is you are lucky a small boat will take you on an Irrawaddy river adventure tour. Or if you have a guide let him/her doing it, check first if they have a permission for it. Since plenty of local people try to make some dollars with the foreigners check it out first since most non-certified tour guides don't know a lot so better go for a professional they are not as expensive as most tourists think and usually you get something for ($ 10-/ 20 ) per day. Very unlikely the abbot will welcome you but your tour guide will handle the whole to make you see all important stuff including some qualified comments. Use a tour guide, otherwise, you will miss out on plenty of interesting spots and the whole will take 3 times more of your precious time and the local people have a possibility to earn some money, think social, everyone shouts about "social" but most people don't what that means. 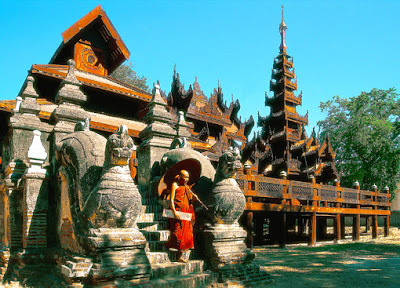 It stands for hundreds of similar Buddhist monastery in the country. 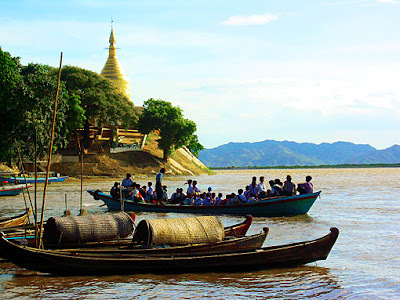 The Yokesone monastery is located close to the Irrawaddy (Ayeyarwady) and this would be an ideal river day trip from Bagan as an alternative to road travel. 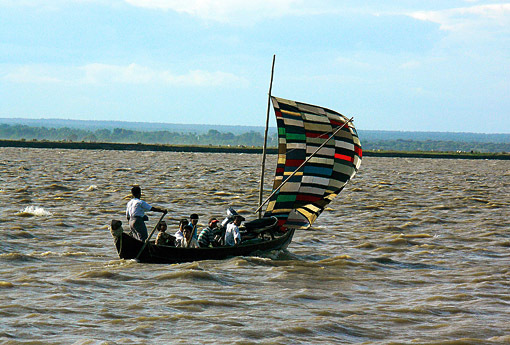 Its only around 2 hours travel, when landing at the jetty the boatmen will arrange transportation. If you have some adventure spirit take an oxcart and feel at home in the times of Marco Polo. But don't do this on your own there is too much misunderstanding as an alternative try to find a boat where the guy speaks some English and negotiate the price. If you do that trip don't forget to use only a boat with a top cover otherwise an awful sunburn will follow. The boats could be also used for other day trips around. Keep in mind that this is all at your own risk here is no insurance etc. whatever happen it up to you if you do this short river tour and you have some sensitive equipment put them into a watertight container before you board since sometimes boat sink. 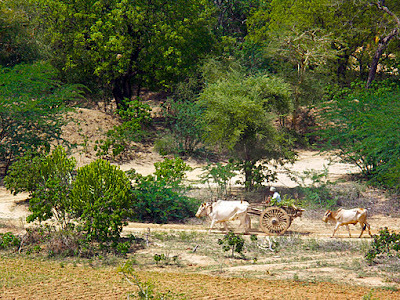 An interesting transportation option could be to hire an oxcart just try to do it like the locals, be social and bring some money to the people they have almost nothing anyway. That could be especially attractive when having a family and some kids with you they will love it and will praise the adventurous spirit of their mother/father. Note this is not a fairy tale and also keep in mind that there are no life vests in the boats, can you swim? The Burmese version of Buddhism is a very conservative one since they even wont allow women to get ordinate similar to monks. Considering that thishappen in the 21th Century it's a bit strange.